Beautifully golden wrapped cross earrings with dazzling inset CZ's. Featuring safe and comfortable screw-on earring backs, they are sure to be treasured for years to come. 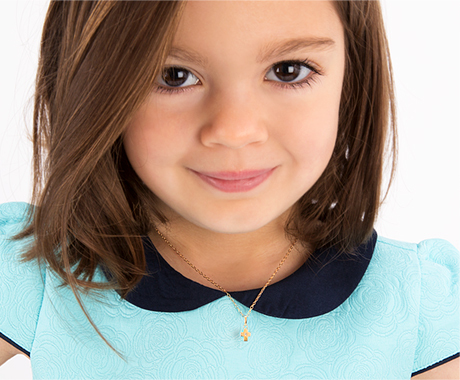 They are a larger style, and are the perfect addition to her First Holy Communion outfit. She is your pure and sweet angel, and a blessing to your life. She deserves the very best!